DJ Superfox continuously draws upon her diverse range of skills, talent, creativity, and raw energy to motivate herself and the entertainment industry forward. As a well-known entrepreneur and creative mastermind amongst celebrities and socialites within the industry, DJ Superfox’s skills have consistently grown and surpassed all limitation (see Lady B Bio*). She now has further extended her talents putting all her passion, diligence and business savvy, into the Evolution of DJ Superfox . Brooklyn born and bred, DJ Superfox’s experience in multiple segments of the music business has enabled her to gain profound enthusiasm towards music and all its genres. Her plethora of songs range from Madonna, Run DMC, cSS, MGMT, Maroon 5, Evanecense, Jimmy Hendrix to Kanye West, and Young Jeezy. 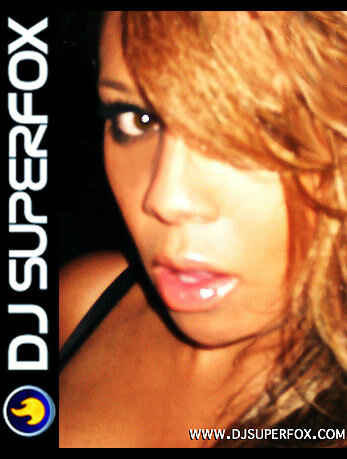 From Rock n Roll to HIP HOP, R&B, 80's, 90's and Neo-Soul, DJ Superfox plays it all. DJ Superfox can be described as sheer poetry. She is musically and visually a digital princess that has just embarked on a new journey to further inspire through her superfox sound. Every set DJ Superfox delivers like a phoenix that goes out in a blaze of fire only to return with new life, stronger, brighter, and rejuvenated. This is the Evolution of DJ Superfox. If you are looking for someone to burn the house down or keep your party rockin’ till the cops come knockin’ DJ Superfox guarantees she’ll turn The Party Out!!! !